We're the Obvious choice for handmade, high quality blinds - All installed by professional craftsmen who take great pride in their work. Superb attention to detail at affordable prices. Get in touch today for a free, informal chat with our experts to discuss your requirements. We're on hand to answer all your questions and there's no obligation to book. Welcome to Blindingly Obvious where you can find all types of window blinds. Whether you're looking for Vertical, Roller, Roman, Venetian blinds or Shutters, there's a wide range of colours, patterns, weaves and wood effects to choose from. We're committed to giving our clients honest, expert advice together with excellent customer service. We're confident in the service we provide and as such, we always offer free, no obligation advice and quotations. If your're not far from our base in Dartford, Kent we can supply and fit custom window blinds for a single window although we do have a minimum order if you're slightly further away. Westerham, West Wickham, Wilmington, Woolwich, Wouldham, Wrotham. Lordswood, Luton, Snodland, gillingham, Rainham, Hempstead, Twydall, Sittingbourne, Newington, Teynham, Iwade, Kemsley, Milton Regis, Queenborough, Rushenden, Isle of Sheppey, Minster, Sheerness, Eastchurch, Faversham, Boughton under Blean, Selling, Maidstone, Bearsted, Grove Green, Downswood, Shepway, Senacre, Loose, Park Wood, Tovil, East and West Farleigh, Barming, Allington, Hollingbourne, Hucking, Harrietsham, Lenham, Boughton Monchelsea, Linton, Coxheath, Chart Sutton, East Sutton, Langley, Kingswood, Sutton Valence, Wateringbury, Mereworth, Teston, Nettlestead, West Peckham, Yalding, Laddingford, West Malling, Kings Hill, Leybourne, East Malling, Aylesford and Canterbury. 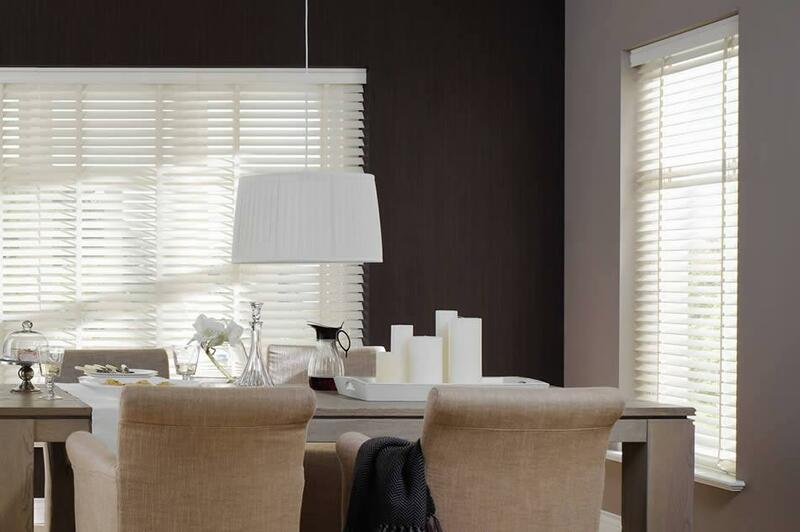 Sumptuous wooden Venetian blinds that provide a softer, more natural look. Intu Micro Blinds are the perfect solution for your Bi-Fold doors. Roller blinds are available in a wide range of fabrics. Based in Dartford, Kent, Blindingly Obvious provide high quality, handmade blinds at affordable prices to commercial and domestic customers throughout Kent. We've been supplying and fitting bespoke made to measure window blinds from our base in Dartford for over 2 decades and are committed to providing the highest level of craftsmanship to all of our clients. We'll give you honest, expert advice together with excellent customer service. There are a wide range of colours, patterns, weaves and wood effects for you to choose from and we're happy to visit your home or business to discuss your requirements. We're confident in the service we provide and as such, we always offer free, no obligation advice and quotations. We're on hand to answer all your questions and there's no obligation to book. Contact us for more information about our professional made to measure window blinds in Kent. 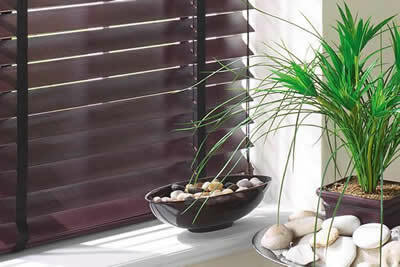 Our Wooden Venetian Blinds come in various slat widths and shades. 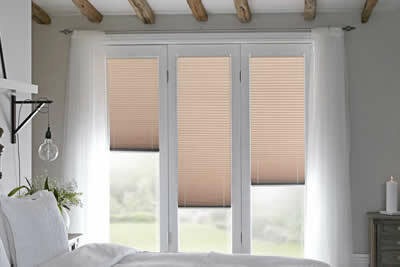 Faux Wood Venetian Blinds are also available. Wooden Venetian blinds offer both privacy and light control for your home or business in Kent and it's possible to angle the slats to face up or down to maintain privacy, whilst still allowing plenty of light into the room. Our hardwood wooden slats are Eco-friendly, as they come from sustainable forests. The wood is kiln dried to remove moisture and then painted, stained or colour washed. As wood is a natural product, different grains, striping and shades may appear when the blind is stained or colour washed. This is not a manufacturing fault, but the reason that every Wooden Venetian is unique. 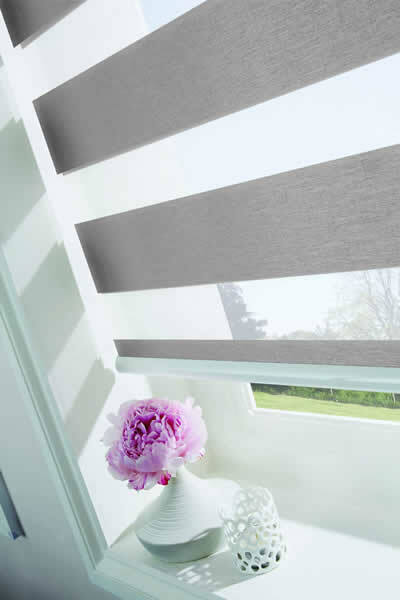 Slat colours range from whites through to darker shades, including on-trend greys. Gloss finishes include white, cream and black. Soft grain slats perfectly show the grain of the wood in seven fantastic tones. Contact us today to arrange a no obligation quote for your windows in Dartford or the surrounding areas of Kent. 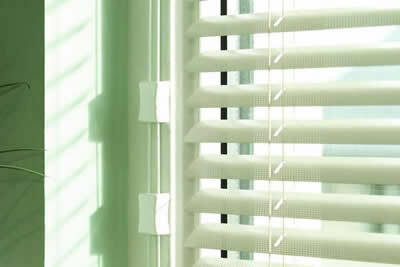 Our Aluminium Venetian Blinds control light and privacy with the tilt and turn mechanism and raise/lower cord. They come in a wide range of colours, patterns and textures. These blinds are also available in Perfect Fit, Intu and Neat Fit, which are suitable for uPVC windows as no drilling is required – they simply clip into the beading of the window of your home in Dartford. 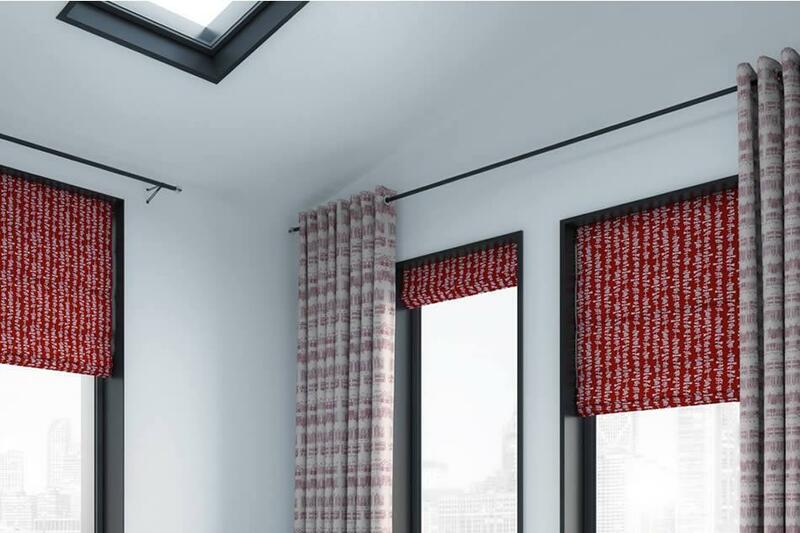 These blinds come in a wide range of fabrics, including plains, textures and patterns. They are also available with either standard or blackout linings. Roman Blinds add a touch of luxury and style to any room. Similar to most blinds, the obvious purpose of Roman blinds (or Roman shades) is to block out the sun and afford privacy. Sometimes referred to as 'Romans' they form even stacks of material when raised but are smooth, without overlapping, when lowered to cover the full height of your window. They are distinct from other types of blinds as they fold to form aesthetically pleasing, uniform stacks which can be made from a wide variety of fabrics. Perfect Fit Intu and Neat Fit Blinds are ideal for uPVC windows, including tilt & turn & bi-fold doors. There is no drilling required as the blinds clip neatly onto the window. If your home has a conservatory, these blinds will be an ideal choice. 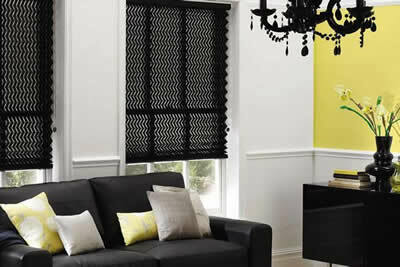 Roller Blinds are available in a wide range of fabrics, including sheers, plains, blackouts and patterns. 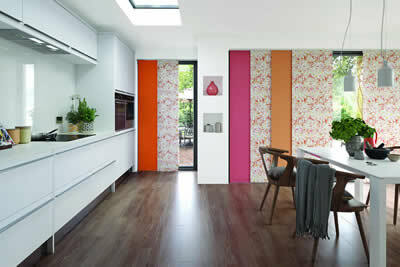 Many Roller fabrics are also available as Vertical Blinds. These blinds have either a sidewinder chain control, spring control or remote control. Decorative shapes and braids, pulls and poles are an additional option. This style of Roller Blind offers an additional solution for controlling light, view and privacy whilst the blind is down. Vision Blinds have two layers of fabric to provide a range of positions – open, half-open or completely closed. They are operated in the same way as a traditional Roller Blind, with a sidewinder control chain. 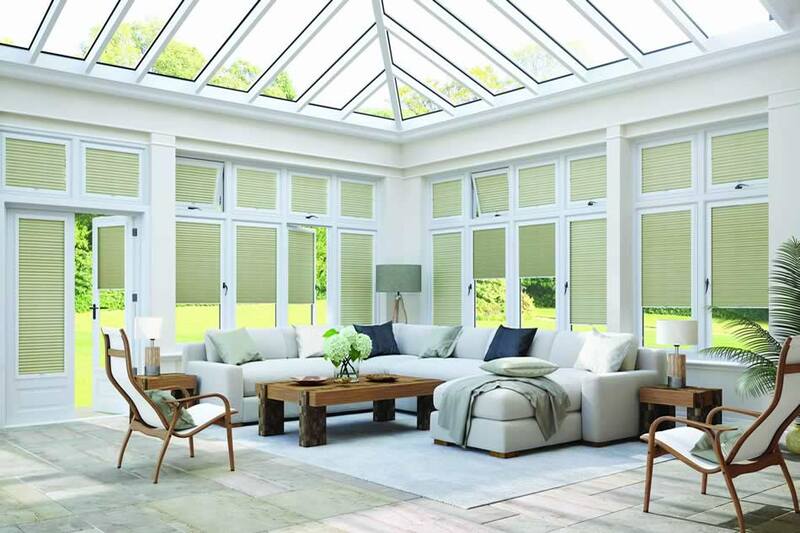 Pleated blinds are available with a sun-reflective backing to deflect the heat, blackout backing to darken the room or as a Honeycomb Cellular Blind to reduce heat loss. They are also available as Perfect Fit, Intu or Neat Fit Blinds, which simply clip onto you UPVC windows. Pleated blinds will look great in your home and they come in an array of colours, textures and patterns. They're a great choice if you want to create something dramatic within your home interior. They are particularly suitable for large windows, patio or bi-fold doors. They also make really great room dividers. When open, the panels stack neatly behind each other. Vertical blinds are available in a huge range of colour options, including plain, textured, patterned and blackout fabrics. 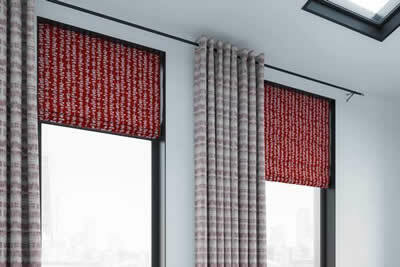 Many fabrics are also available as Roller Blinds. This makes it possible to mix and match different blinds in the same room of your home in Dartford in the same fabric - For example, in a kitchen/diner you can have Vertical blinds at your French Doors and a Roller Blind at your kitchen window. All fabrics are available in a louvre width of 89mm. Certain fabrics are also available in a width of 127mm. They are operated with either a Wand control or Chord/Chain control. We're passionate about blinds and are the Obvious choice when it comes to supplying and fitting custom, high-quality made to measure blinds. We're based in Dartford, Kent and we're mobile, which means that we can travel to your home and business for a free, no obligation consultation. If you're unsure about any aspect of our service or would simply like some free, friendly advice before making a decision, either give us a call or send us an email. It's thought that Dartford has been occupied by humans for over a quarter of a million years. A tribe of prehistoric hunter-gatherers was thought to have occupied the area and evidence of this is part of a skull known as the Swanscombe Man (which turned out to be a woman!). There have also been plenty of finds from the Stone Age, the Bronze Age and the Iron Age. When the Romans constructed Watling Street (the road that stretched all the way from Dover to London), they had to figure out a way to get over the river Darent. Presumably, for convenience, they opted to use a ford, which is a shallow area of the river with a good, solid foundation - Hence the name 'Dartford'. The area has a rich history and is littered with Roman Villas along the Darent Valley. Dartford Manor also gets a mention in The Domesday Book! Blindingly Obvious - Mobile Dartford blinds installation service, Home blind installations, Mobile blind measurements, Window blind measurements, Blind installer, Fitted blinds, Custom made to measure window blinds in Dartford, Kent. We also cover Stone, Wilmington, Bean, Hawley, Darenth, Joydens Wood, Farningham, Eynsford, Darenth, Sutton At Hone and Horton Kirby. Please leave us your name and number and we'll give you a call back as soon as we can.